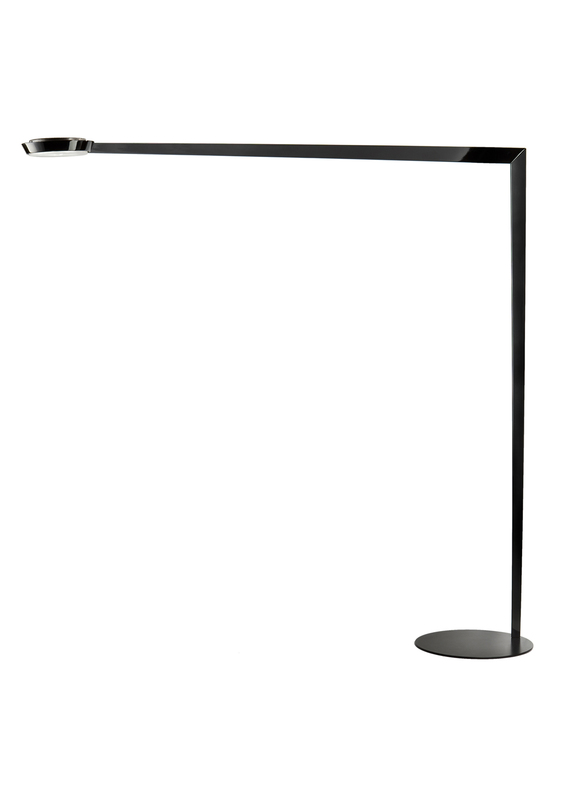 The Angle floor lamp offers the height of elegance and efficiency with minimum energy consumption. The floor lamp has a structure in liquid painted carbon, the base is painted matte black. The tilting light source of the floor lamp is equipped with a high efficiency LED. Available in white or black.